This is a short excerpt from the very preliminary draft of my book (!!! ), One Coin Found, where I tell my story of falling in love with Scripture as a story written for the outcast. 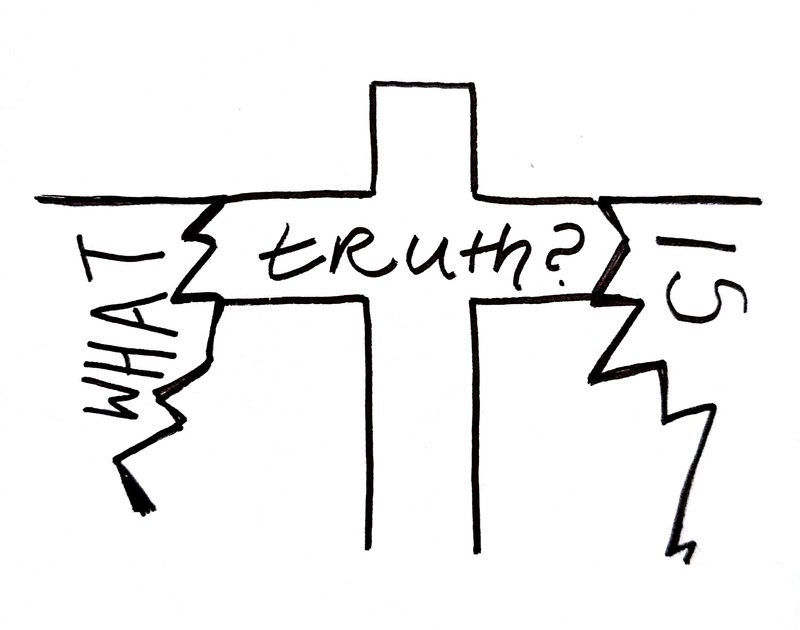 This is from chapter two, “Good Because It’s True,” a reflection on Holy Week and coming out. A content warning: as this chapter deals with the story of the Passion and the reality of being queer, it contains descriptions both of modern-day assault on LGBTQ individuals and the violence done against Jesus in his final hours. I realized I was gay the year after Matthew Shepard died. I’d saved article after article in a shoebox under my bed, piecing together the brutal story of a college kid pistol-whipped until his skull fractured, tied to a fence along a remote road, and left to die. I didn’t need to look far for those who claimed that Matthew had brought his death upon himself. At thirteen, I shut out the connections between my own faith and the Christianity that they claimed; I also couldn’t explain, at the time, why I was so captivated by Matthew’s story. I was similarly enthralled with the yearly drama of Holy Week. Yet I hated how, every Palm Sunday, the congregation was assigned to speak the words of the crowd. Each year I was required to yell Crucify him!, and sit through sermons that told me how palm-waving praise quickly turned to cries for death. We are a people that love violence, I was reminded. I hated this. By fourteen I began to refuse to shout His blood be on us and on our children! I knew I was supposed to feel contrite, to remember that Jesus had died because of my awful sinful nature. But I already knew I wasn’t lovable: I was gay, and I was probably going to die socially isolated, legally unprotected, and religiously scapegoated. I already knew we were a people that love violence. I didn’t need to be reminded of it at church. The cosmic battle between God and Satan did not compel me. In the story of the passion I instead saw a single man, strikingly different from those around him. I saw how he offered a message of love and acceptance, and was turned into a religious and political pawn for the use of others. I saw the truth — the truth about what would happen if I chose to live into my true self. Politicians would ignore me until I became enough of a nuisance that they needed to publicly wash their hands of me or, worse, turn me over to state-sanctioned death. Religious leaders would recoil in disgust, put me on trial on trumped-up charges of heresy, vomit vitriol at either short self-protective answers or open proclamations. Friends would betray me, refuse to have known me; one might even turn me in. And at the end of it all, I would be alone in the midday darkness, arms outstretched, hoarse voice crying: My God, my God, why have you forsaken me? This was, in all honesty, good news. It wasn’t “good” because it was hopeful. Nor was it “good” because “Jesus dying for our sins is Good.” It was good because it was true. I needed the truth: being gay was not safe. I would not be able to hide myself, to say as Jesus once had “Tell no one about this.” I was going to be required to be honest and self-aware; I would also have to be ready for a battle with every new person I met. I needed the truth: pain was real. There was no talisman against it, not even perfection. Jesus did not suffer and die because he was a sinner, but because his full and honest truth made all those in power recoil in fear. He intentionally aligned himself with those on the edges: with the poor, with simple smelly fishermen, with those whose skin pickled with leproous scars or the violence of the demons that possesed then, with women who were prostitutes or Samaritans or caught in the act of adultery or foolish enough to sit at his feet and dare to learn. I needed the truth: I was still worth loving. I needed to hear that my differences, my impossibilities, my queerness, everything in me that pushed me to the edge of society was not going to prevent my inclusion in the family of God. The common Christian story declared that my own sin was the chasm, but my reality was a culture and a church happy to dig that ditch for me and drop me into it. In Jesus’ suffering and death, I heard a new story told: no matter what evil and devastation the powers of this world would use to silence a message of mercy and love, God was going to find a way to cross it — and bring me back. Sign up here for an email update when One Coin Found is ready for pre-order!